My Quilting Arts Article, August-September 2018, on using your camera–in the case of this article, the one on my PHONE…nothing fancy! 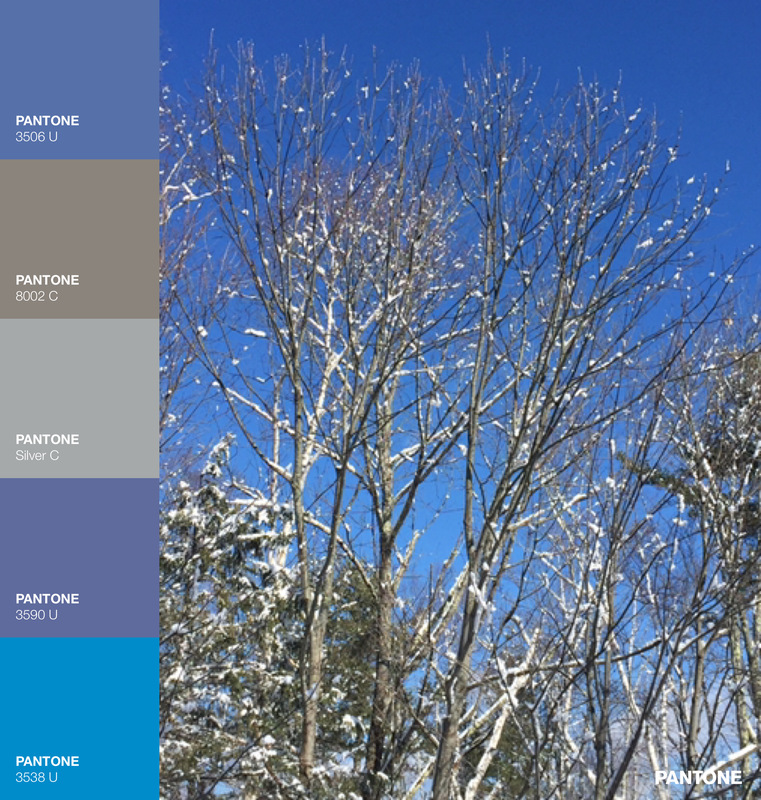 PANTONE Studio app as it displays on my phone — I use just the “Images” function. My app was free, but there are in-app purchases that I haven’t tried. Thank you! Marsha–you’re just helped a bunch of people by asking and sharing that info! Found it in Google Play (Android). 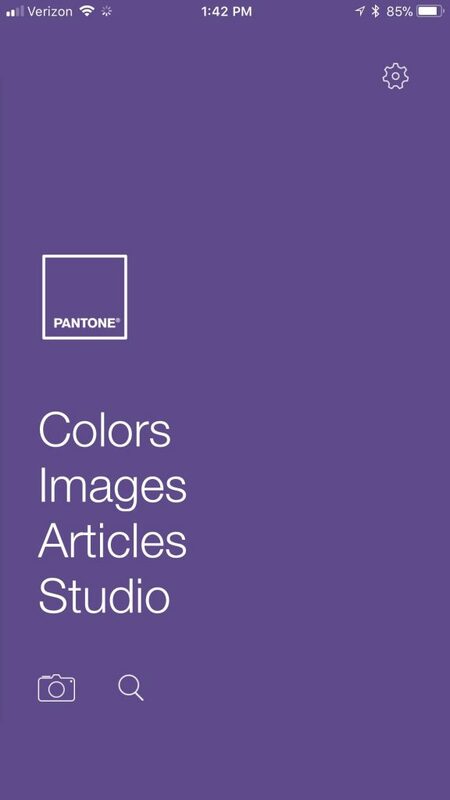 It’s called myPantone but is not published by Pantone itself. It does cost $7.99 and you have to download another app Color True (free) but I am having so much fun. Thanks. Screen shot from my phone on 9/16/18 showing the app available. 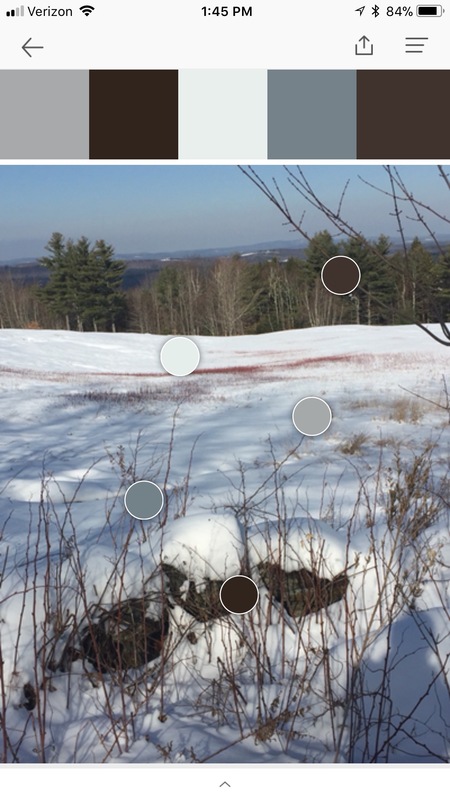 Picking colors on the app: you get to move the dots around to generate a palette. It is fun to watch the colors change, and how the phone “averages” the pixels under the dot to create a color. And yes, this was done months ago when I was writing the article. Once you have selected the colors, you can generate a palette and then export it to your photos album/folder. The bottom line: I expect there are various “color picker” apps out there. Try what you can find–you don’t necessarily need to have exact Pantone colors with color codes for the purpose here. MOST IMPORTANT: trust your eye! You will learn and grasp color more quickly than you realize. When in doubt, go with what your eye and instinct/gut tell you. 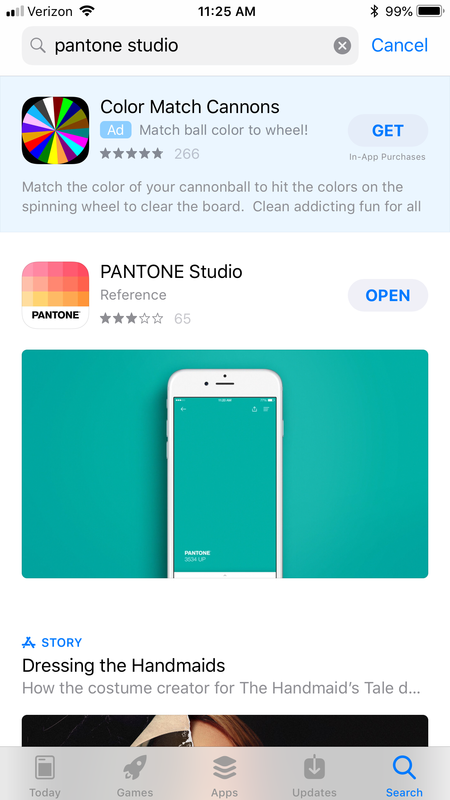 The artwork you produce is YOUR artwork, not that of the app designers. And HAVE FUN! Question: Downloaded the app. Am I correct that there is no way to access photos from the phone and no way to save the photo with the color analysis. Answer: Yes, you can access your own photos and then you can export it to your photo album. Open the app. Click on images. Up at the very top, in the white bar, if you tap that it will give you a drop-down menu. Mine says “Recently Added,” but I can click that and it allows me to choose from FB, Pinterest, Instagram, etc., All Photos, Favorites, etc. Just tap whatever one you want, and then choose a photo from that. Once you have selected your colors/moved the dots around, there is an export icon at the top…looks like a box with an arrow pointing up. Tap that. A new menu appears. You can save it as a Palette or Share. A window then appears that says “Select Item to Share.” Click the circle/dot (in my case in the lower right). Then click Share on the bottom. An iOS menu pops up that allows you to save it to iCloud Photo Sharing, Save the images, Save to Files, AirDrop to your computer or whatever. Tap whichever one you want and presto! I share my PicStitch collages to Instagram often (more on that app in a few days). HTH…if not clear, ask again. 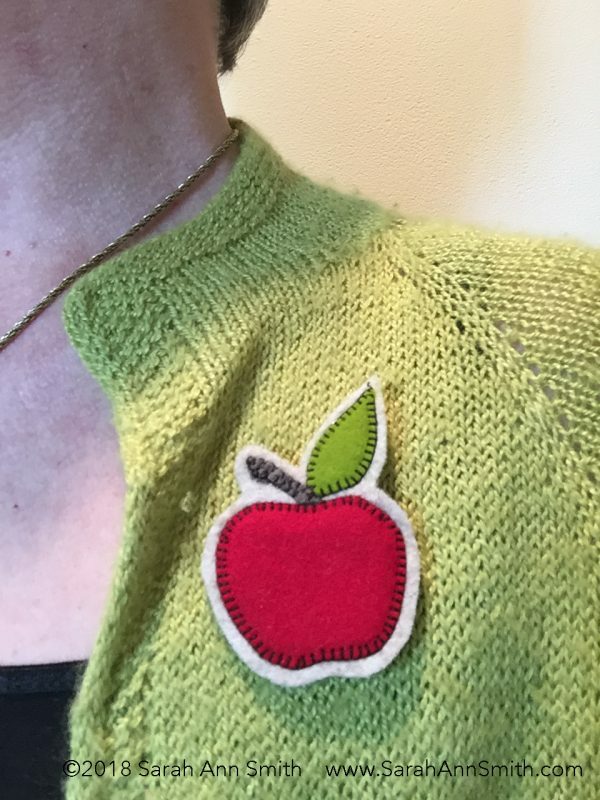 I may add this to the blogpost…is your question and my reply ok to share with you? WAHOOOO! I’ve discovered something almost as cool as the holy grail! 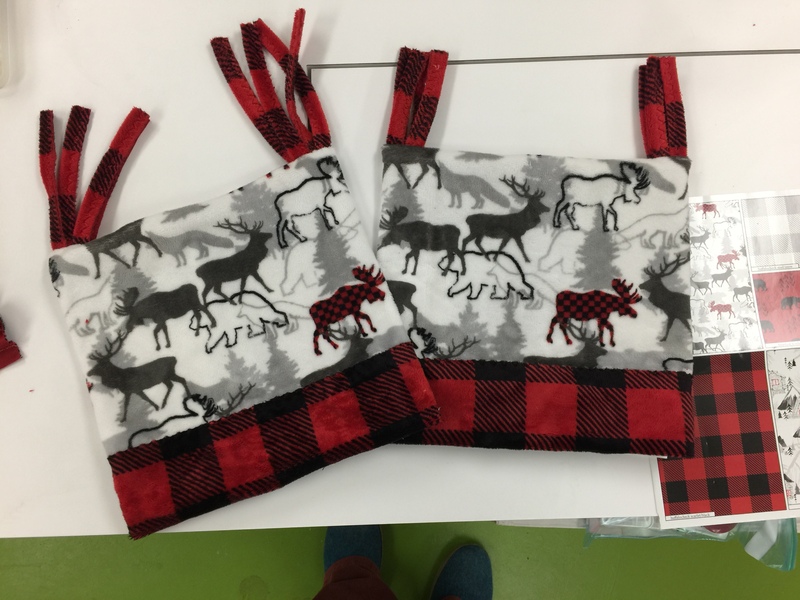 At least if you want to make thermofax screens…..and yes, you may liberally share the link to this blogpost so that others may learn and play with paint. If you want to find out how to do this the easy way, keep reading! So I was on a quest for my next project: creating thermofax screens using my new (to me) thermofax machine. I remembered a tool I loved in Photoshop Elements (PSE), but it wasn’t in Photoshop (PS–full thing). How could that be? So I opened up my 2010 PSE software and discovered the tools I liked were called Stamp and Photocopy, in Sketches under Filters. So I googled around to find out how to create actions in full PS to do what those tools did. 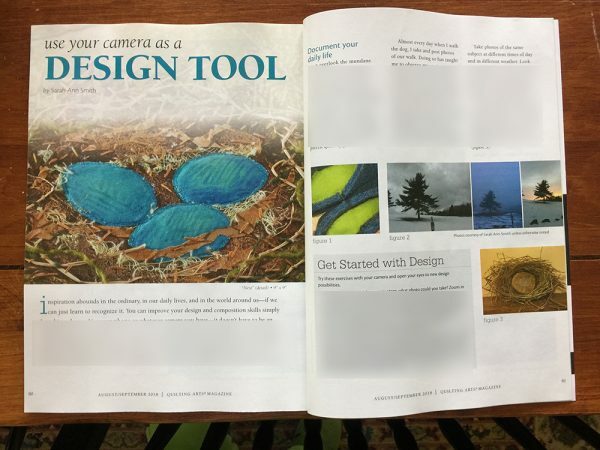 Turned out I didn’t need to–Adobe included those tools but then HID THEM. So here is how to find and use these awesome tools. Note: I realize this will sound like gibberish unless you are into PSE or PS….if you aren’t, just skip! But this is SO AWESOMELY COOL AND USEFUL for those of us who want to make Thermofax screens and use Photoshop! So if you are interested, read on! First, you need to install all of the Filters in the Filter Gallery. Yeah right. Not as hard as it sounds. 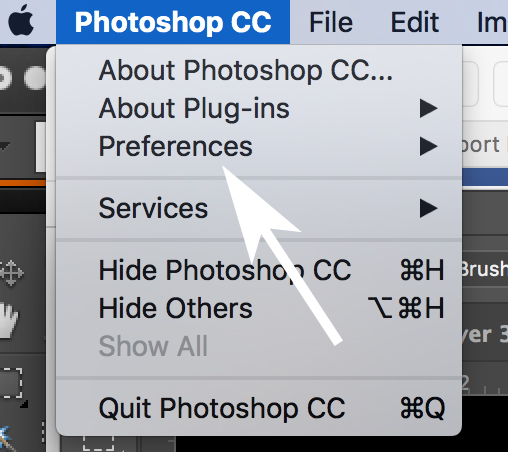 Under Photoshop, find and click on Preferences. 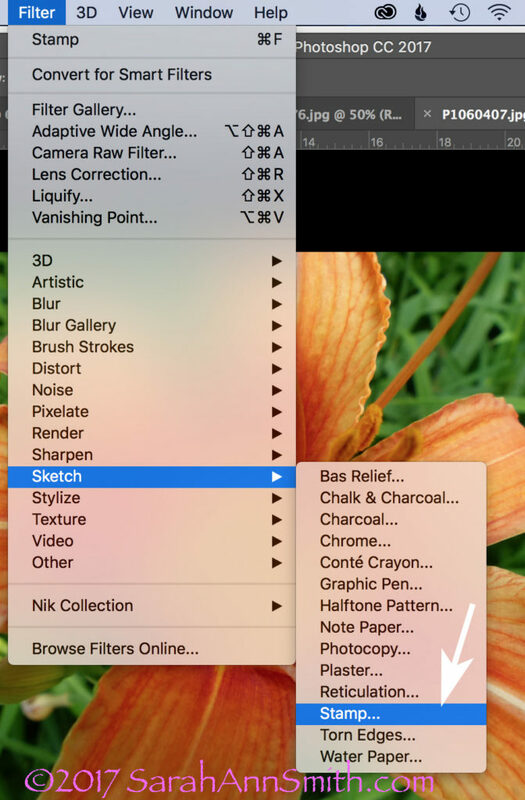 First you need to find Plug-Ins and load the Sketching filters. The flip-out widow reveals Plug-Ins. Click on it. When you click on Plug Ins this window opens up. Check the box to show ALL Filter Gallery Groups and names. Sheesh….why was this not the default????? This window will pop up. The box at the bottom of the arrow will be blank. WHY Adobe? WHY? 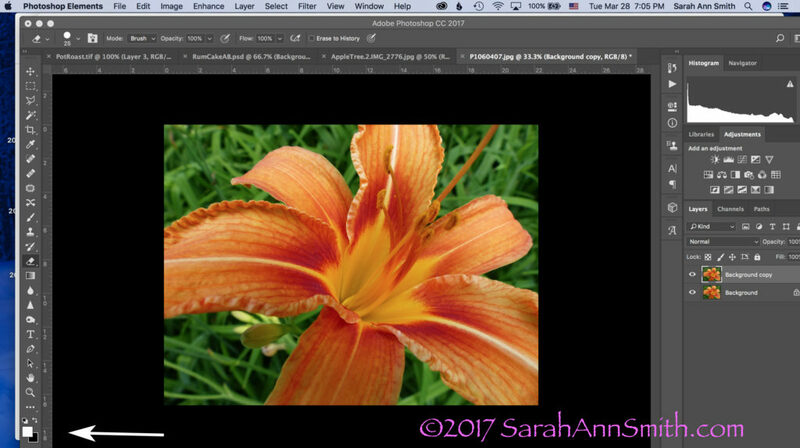 Check it and the wonder and joy of more filters will appear in your PS workspace. 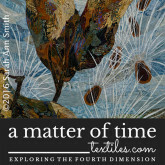 Here’s a colorful photo I use in my Quilting the Garden workshops. NOTICE the COLORS in the Foreground and Background boxes on the bottom left corner. Let’s pretend I want to convert this image to black and white to create a Thermofax screen. Take note of the little Foreground/Background boxes at the bottom left. They are important. Boxes are important! The next step is to USE the Stamp tool. Look across the top of your PS window. 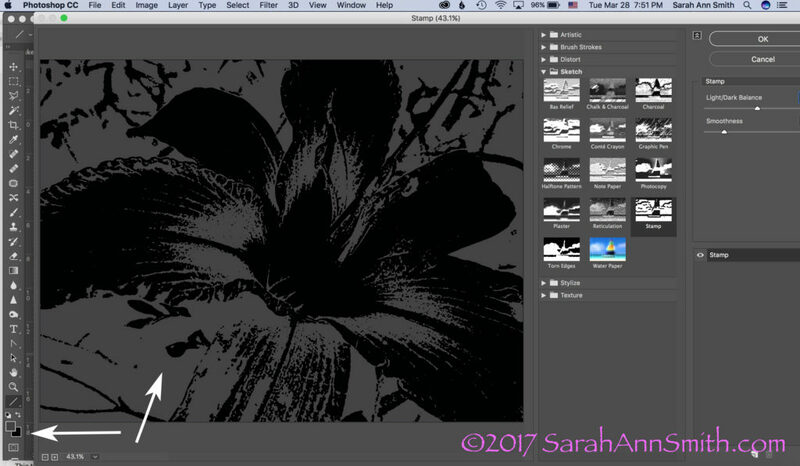 Click on Filter, then Sketch, then Stamp. 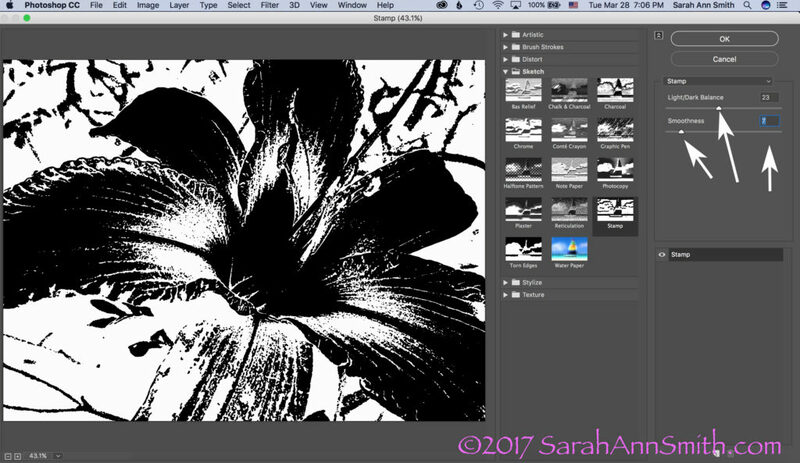 To use the Stamp tool, go to Filters (on the menu across the top), select Sketch, Then Stamp (see arrow). When you click on Stamp, the following window opens. But I ended up with Grey and Black. WHY? It used to be black and WHITE, right? So what was I messing up? This was not what I had in mind. Then I had a lightbulb moment (who me? I know, rare, but it does happen sometimes). Remember those BOXES? YEP…..the Foreground color, due to something I’d done not so long ago, was dark grey, not white. Aha! A glimmer of light (pun totally intended). Groan. Remember, Boxes are Important! I switched the foreground color from dark gray (above) to WHITE. And lookit what I got! Drum roll……stamp is once again black and white! 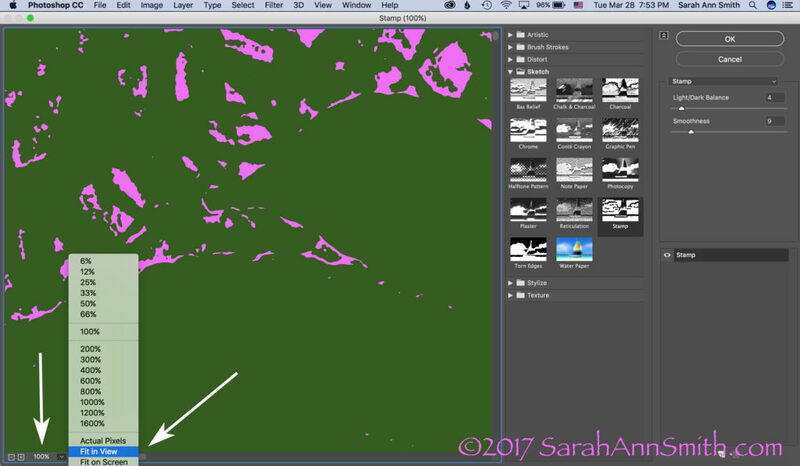 Notice the arrows on the right: use the sliders or the number boxes to adjust the level of black/white and the degree of detail. Now isn’t it a whole lot easier to get to this point in a hurry, THEN fine tune with the eraser tool to clear out extraneous yuck? Those arrows on the right point to fun things to play with to adjust the amount of black, white, detail, etc. But the realization that the foreground/background colors could make a mess make me think….hmmmm……COLOR! What would happen if…. BUT, one more tidbit about what you see in the window. The one below looks like a lot of nothin’, right? That’s because is it at 100 percent, which doesn’t fit. Then I realized I could play with COLOR. When you open this window, however, it opens at 100 percent. I prefer the “Fit In View” option, so check out the arrow once again. 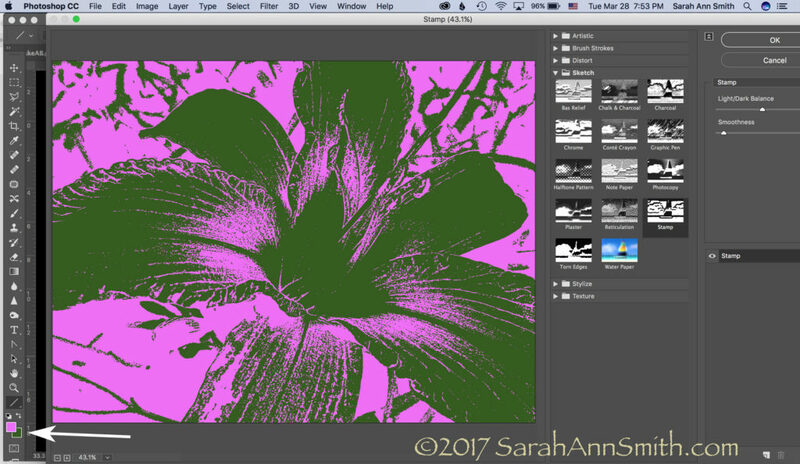 Then you can create a really bizarre two-tone hot pink and green image. Just what you always wanted, right? Not! But you can see the potential, right? Let’s just say I am ridiculously happy. I asked for help on FB today and got it…THANK YOU Lynn Krawczyk, Lyric Kinard and Leslie Tucker Jenison among others. Then I — having learned this lesson before — googled around for online information, including the forum at Adobe, which is where I found the clue that the Sketch filters WERE in full PS. But I didn’t know the terminology (like where to find the Line tool to create an arrow to illustrate these screen shots), so YouTube search box to the rescue. SQUEEEEE! I don’t need to use my antique PSE, I can use full PS and not have to move between the two, AND (best of all) I have my easy-peasy Stamp tool back! Time to CELEBRATE! Lynn, I may just have to fling some paint! And now that I have written this up to share ASAP in thanks, I am going to celebrate, perhaps with chocolate! Or maybe Talenti. Or some culinary Venn diagram that involves the intersection of Talenti, banana and chocolate. SQUEEE! And a PS, thanks Whiskers for asking the questions: Hi Whiskers! Yes, I will do a blogpost eventually on thermofax screens. Not sure when, so the quick response is the Thermofax machine is the predecessor to today’s photocopier. They were used in the 50s/60s in the office to copy stuff. They are no longer made (consequently they cost a fortune, it has taken me a decade to save up and make the purchase, $1350! If you buy one be sure you get one that works with the mesh, not just the purple ditto masters! )…but folks have figured out if you use an image with carbon in the ink (laser printer, some inkjet printers, carbon ink, lead pencil) and you run it through the machine with a plastic-backed mesh, the plastic melts where there is carbon. When you separate the two sheets (paper and plastic mesh) you end up with a screen. Tape up the edges, then push the paint through. 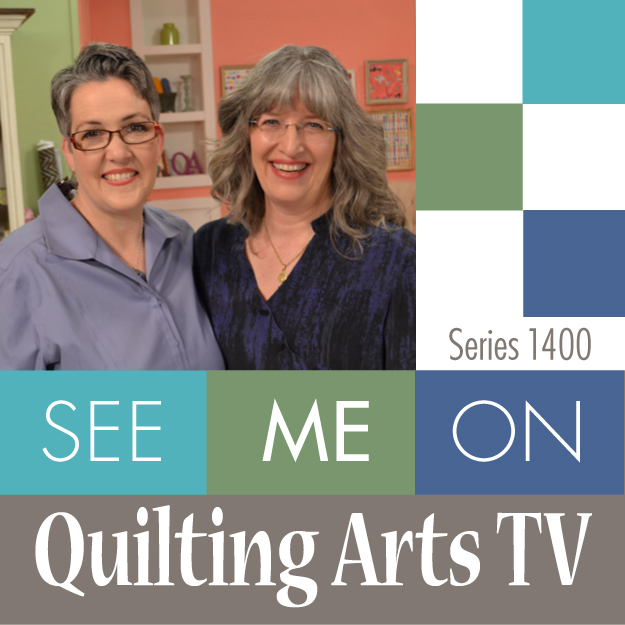 I actually just taped a segment for Quilting Arts TV on this! So over on Facebook I’ve posted some photos of my current project, a hugely oversized peony…well, part of a peony. 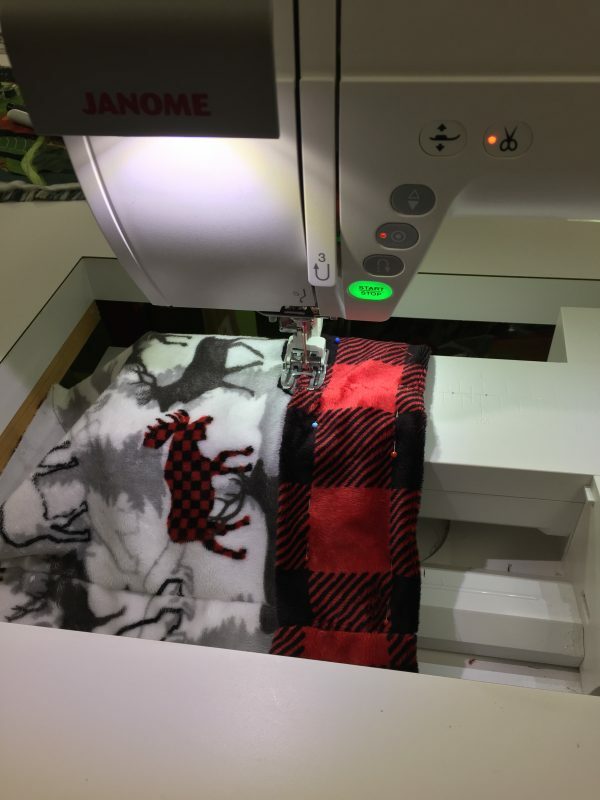 I decided I’d try a quick video posted via youtube so show me actually quilting. Along the way, I added a quick visit to my studio. The studio is sort of “midway messy,” true to life. I have a couple things piled on the floor that are: find time to sort and put away, try to get rid of in some way, and prepping for teaching in Houston piles. When I’ve found time (usually after just barely meeting a deadline), I have a tidy attack. Mid project it is utter chaos. This is in the middle. And apologies for the overly loud and enthusiastic hello at the start. Learning. I’m learning…..ps: if the video doesn’t display at first, hit refresh on your browser. Update: thanks to Donna for some good questions, so I’ve added info at the end of the post about holding your thread tails and my appliqué press sheets. On the video, I mentioned how I select threads in a value range. The reason the light ones are in the box and the dark ones to the side is that I have used the dark ones. When done, I put them aside so I know what I’ve used. I keep them in the order in which I used them, which helps if I need to go back and do more in a certain shade. 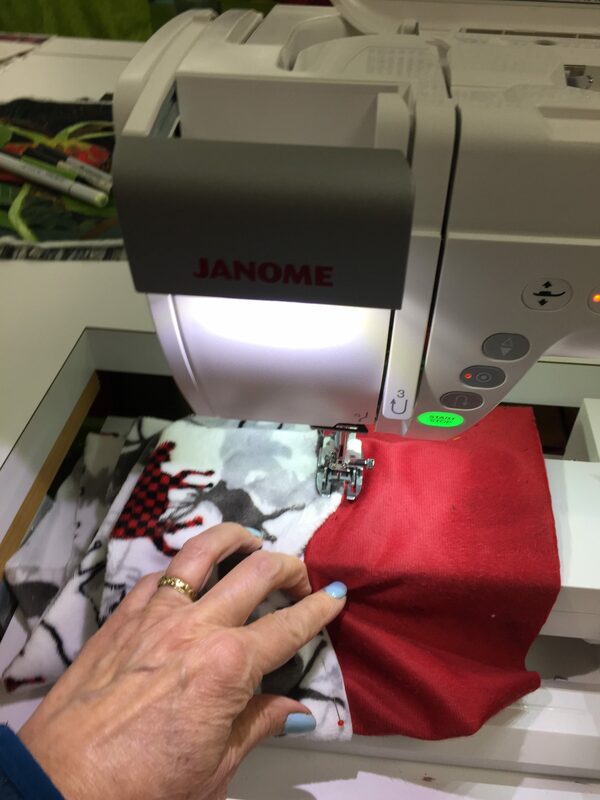 I had clamps by my Janome for working on larger projects, but hadn’t set up hooks from the floor joists (my ceiling) near the Sweet Sixteen until yesterday. WHAT an improvement!!!!!!! I’ve been using dyed-by-me cotton duck on the backs, and let me tell you the quilts have been HEAVY. So that’s why there is a blue-handled clamp visible. I didn’t use the one on the right because of where I had the phone set up to film. 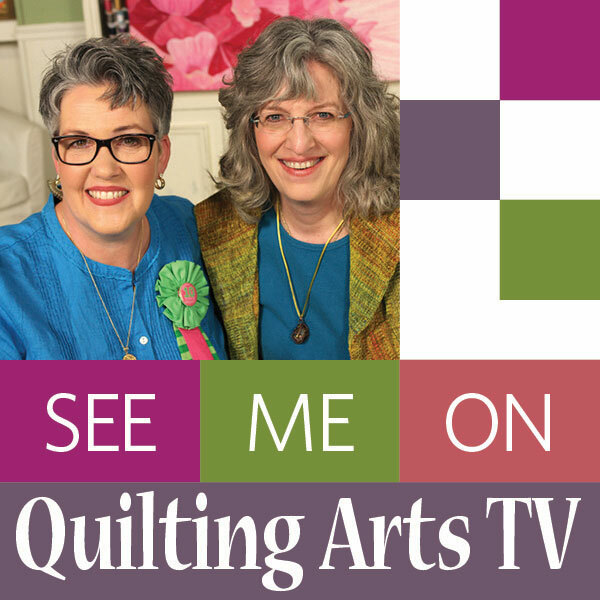 If you like this, let me know and maybe I can do some more videos of me just quilting. 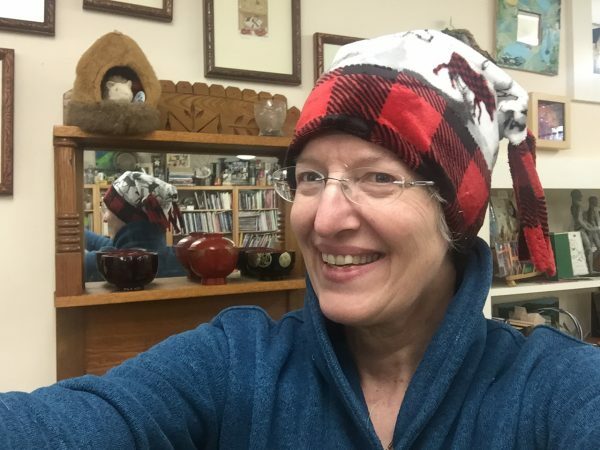 And yes, I sound like a dolt when I try to narrate while quilting–I can’t concentrate on the quilting and manage to talk in a normal rhythm at the same time. 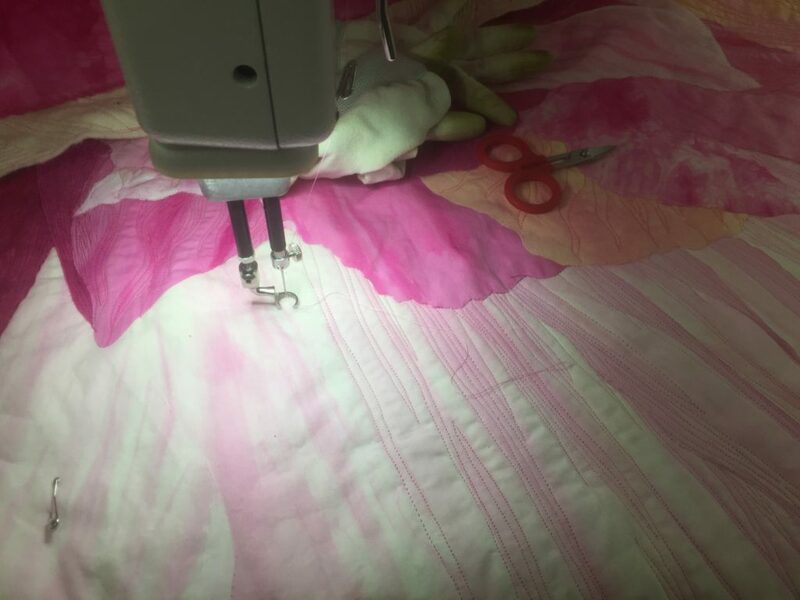 Working on the lighter petals on the big peony quilt. 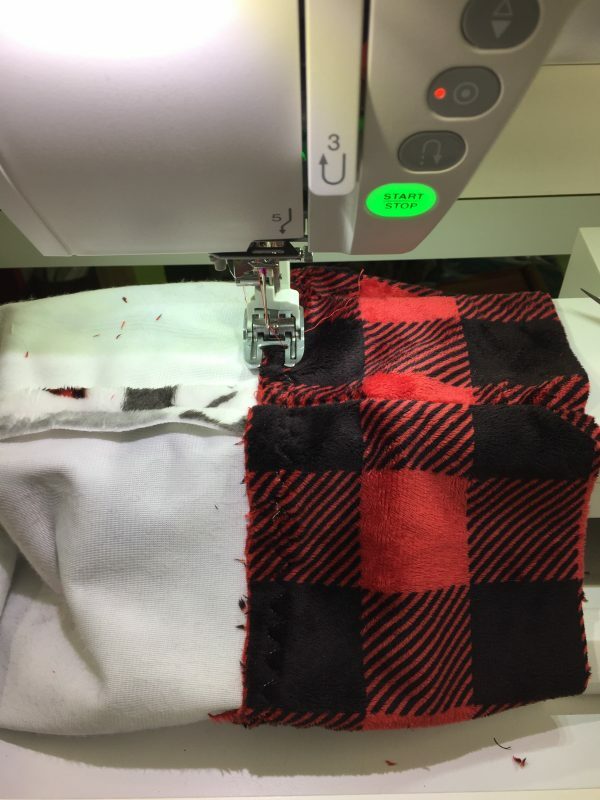 It will finish about 45×55 I think…..depends on how much I trim off and/or turn to the back. 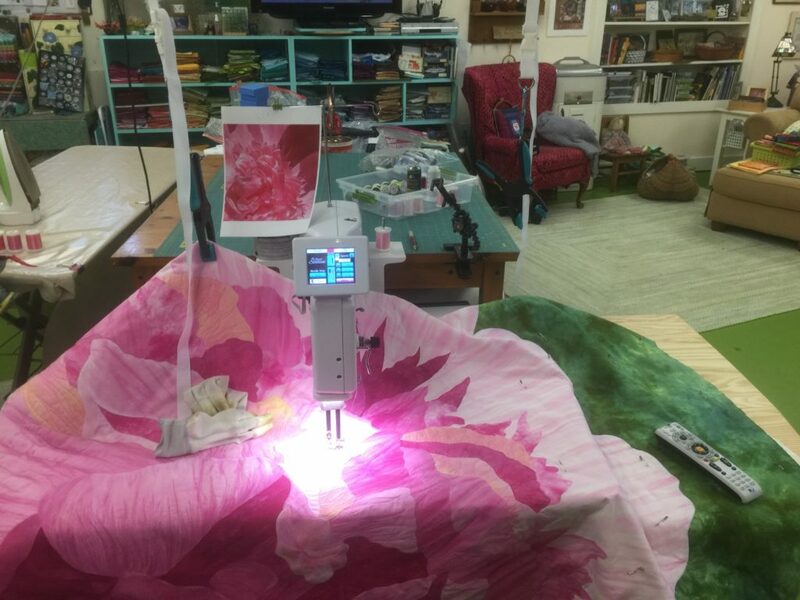 You can see both of the hanging clamps in this photo, as well as the photo of the peony clipped to the left side of the thread stand on the machine. Detail of laying in the darkest-on-this-petal pink. Showing the clamp on the right in use. 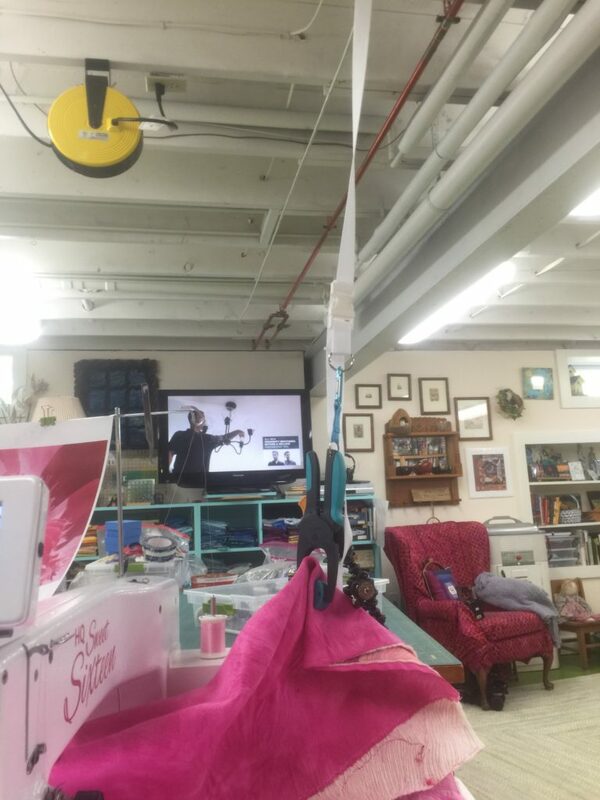 Some folks have started using those dog-grooming things that you clamp onto the table and attach the dog with a short leash for grooming, but substitute a clamp. That idea became common AFTER I set things up over at the Janome; since I have bare (primed) joists and sub-flooring for a ceiling, I opted for the much less expensive hook in the joist! 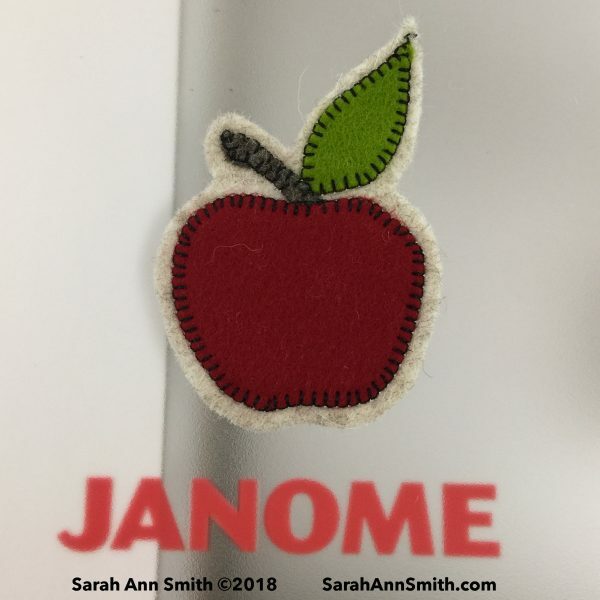 UPDATE/Addition: About the move to another bit, be sure to press down on the threads (top and bobbin) when you begin stitching, even if they are still attached. 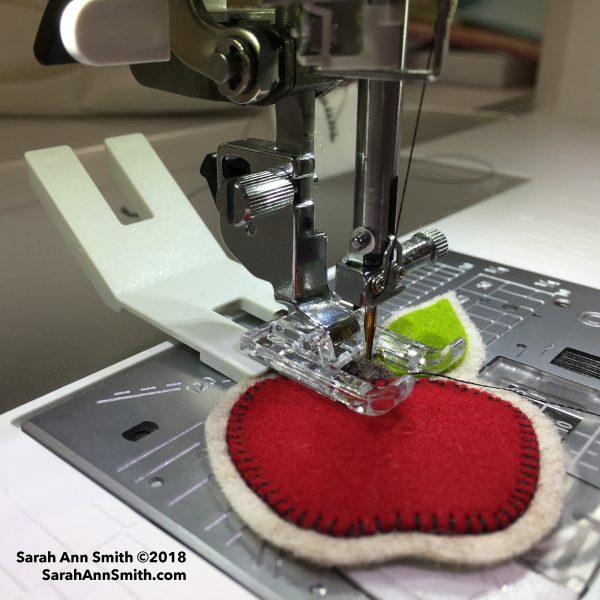 If the pulled out part is longer than the “jump” (which it sometimes is for me because I need tails long enough to bury), you can still get a snarl if you don’t hold the tails firm to the machine for the first stitch or few. Non stick sheet on the wall: same as on the ironing table, just hold the iron vertically. I tend to make smaller components flat on the ironing board, then move to the wall. Sometimes I don’t use the wall…just depends. If I have draw a full cartoon/sketch, it goes UNDER the non stick sheet that is on the big board, so I just work there. On the rare occasions where I am working improvisationally or something seems amiss, up on the wall it goes. I ordered my sheets from Valerie Hearder in Canada…the exchange rate is very favorable at the moment. She sells 24 and 36 in wide, by the foot. So I got two that are 72 inches long. They should hold me for a couple decades. Misty fuse now has the Holy Cow, which is 36×48. Had that been available when I got mine I might have done that instead. However, I REALLY like having my Big Board totally covered, and it is about 22×60 inches. Thanks for writing! The peony is done and I am revelling in having the Peony DONE and HUNG!